Staggering statistics and shocking stories have depicted the disturbing frequency of harassment in the hospitality industry. While movements and initiatives have started to bring the issue to the fore, there is still more to be done to combat abuse. If you work in the hospitality industry you may be no stranger to stories of being overworked, unfair pay, drug use, bullying, violence and sexual harassment in bars, pubs and restaurants. The prevalence of sexual harassment in our culture today is shocking. There have been plenty of studies in the last couple of years that have shown the unrivalled amount of harassment in the on-trade. Preliminary findings of the Not on the Menu survey by Unite in January 2018 showed that nine out 10 hospitality staff have experienced sexual harassment at work. Of those who reported that they were sexually harassed at work, more than half said the perpetrators were members of the public and another 22% said they were harassed at the hands of a manager. In the workplace, harassment can happen between two employees, but also between a customer and employee. As the face of the venue, bartenders and front-of-house staff are depended upon to provide a welcoming and friendly service, which can all too easily be misconstrued by patrons, who then exhibit unwanted attention and inappropriate behaviour. Just yesterday, I wrote about a new initiative from journalist Victoria Stewart and public relations officer Hannah Norris that seeks to address “toxic behaviour” in the hospitality industry, called Hospitality Speaks. Launching at the end of March, the non-for-profit platform will create a “safe online space” for hospitality workers to share their stories of bullying, harassment and discrimination, anonymously. The aim is to improve working conditions in the hospitality industry by engaging with employers and workers to identify abusive behaviours and practices, champion employers who are pioneers in staff welfare, and establish an industry standard for behaviour and ethics. Around the world, game-changing movements including Time’s Up and #MeToo have helped to instigate a wave of reaction throughout numerous industries, including hospitality. The #NotTheJob campaign was launched in October 2018 by Birmingham Yardley MP Jess Philips, calling for “zero tolerance of sexual harassment” in the workplace. Philips asked followers on social media to share their experiences of harassment while working as service staff across all industries, but it was those working in pubs and bars who were the most vocal. The UK government also recently announced a package of commitments to tackle sexual harassment in the workplace, which will include the introduction of a statutory code of practice on sexual harassment. Another prominent example in the UK is the Ask for Angela campaign, which aims to prevent violence and anti-social behaviour and to empower victims to make a decision on whether to report incidents. The campaign encourages visitors in bars, restaurants and cafes to ask for ‘Angela’, a code word to notify staff that they are in an uncomfortable situation and need to safely leave the premises. Meanwhile, education and training have also been critical to addressing and preventing threatening situations. 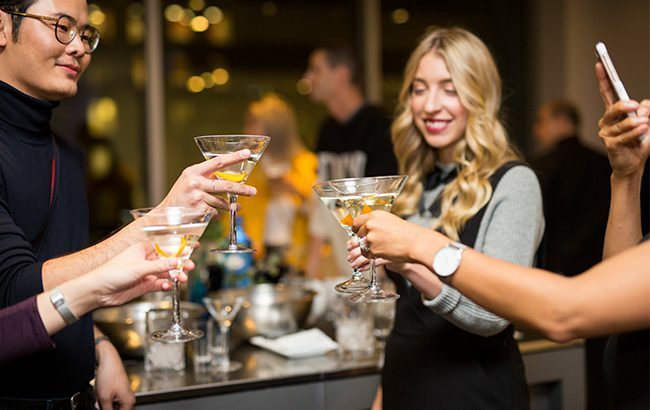 Washington DC-based firm Safe Bars, which launched in 2016, holds two-hour bystander-intervention training for bar staff with the goal of creating a safer and more welcoming nightlife culture. Last year also saw annual New Orleans festival Tales of the Cocktail take a stand for sexual abuse and partner with Sexual Trauma Awareness and Response (STAR), a Louisiana non-profit organisation that provides support and education for those affected by sexual trauma. The festival also provided a 24-­hour hotline to report sexual violence and held a seminar on the issue. Undoubtedly there is a great amount of work left for the bar industry to do in order to stamp out harassment. But it’s taking these small steps towards open discussion that can lead to a safer and more positive working environment. We need more education, open dialogues and a strict code of conduct in the industry if we’re going to make a change for the better.